The government today announced a two major reforms in the road sector-- modernising 350 toll plazas across the country with electronics facility and making highways with less than Rs 50 crore investment toll-free-- that are expected to save Rs 60,000 crore in fuel bills. Union Minister of Road Transport and Highways Nitin Gadkari said 350 toll plazas across the country will adopt electronic toll collection method from December 31 this year. He said the government has also decided to make highways wherein less than Rs 50 crore investments have been made toll-free. 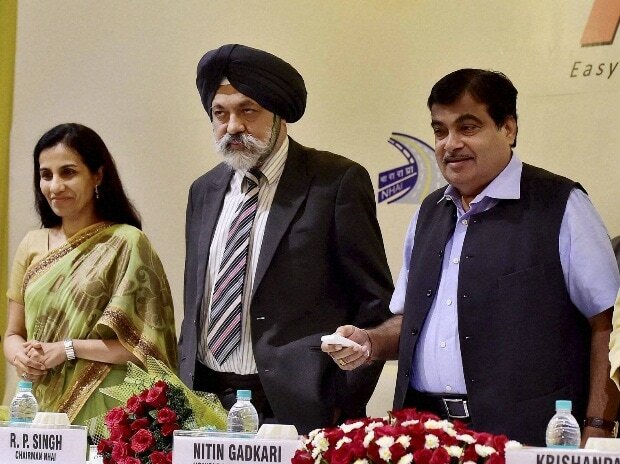 "We have decided to cancel toll on projects where investments of less than Rs 50 crore have been made, we have cancelled 27 tolls and in the next one year we will cancel another 45 tolls, we want them to be toll-free," Gadkari told reporters here after launching electronic toll collection (ETC) on the Delhi-Mumbai NH. He said ETC will keep a check on fake toll plazas. "As far as fake toll plazas are concerned after the implementation of ETC system, everything is recorded, traffic will be calculated," Gadkari said. Under ETC system, when vehicles, affixed with a prepaid 'Radio Frequency Identification Device' tag known as FASTag on windscreens, crosses the toll plazas, the applicable toll is deducted automatically from the motorists' pre-paid account. He said the Centre has asked state governments to come forward and adopt this method and use it free of charge. He added that there are 18 toll plazas on the Delhi-Mumbai National Highway and it takes about 10 minutes for the vehicles to pay the levy at these junctions resulting in 180 minutes or 3 hours of time loss during the total journey. "FASTag E-Toll collection will remove logistic inefficiencies at toll plazas and has the potential of saving Rs 60,000 crore of fuel bills," the Minister tweeted later.